Product prices and availability are accurate as of 2019-04-20 20:59:20 UTC and are subject to change. Any price and availability information displayed on http://www.amazon.com/ at the time of purchase will apply to the purchase of this product. PLA 3D printing filament is manufactured by REC company. 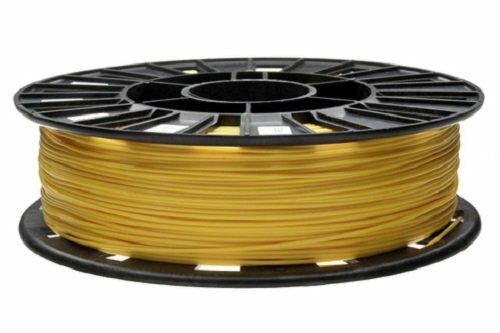 The filament is of yellow color with the diameter of 1.75 mm per 1 spool. The weight of one plastic filament spool is 4.409 pounds or 2kg. 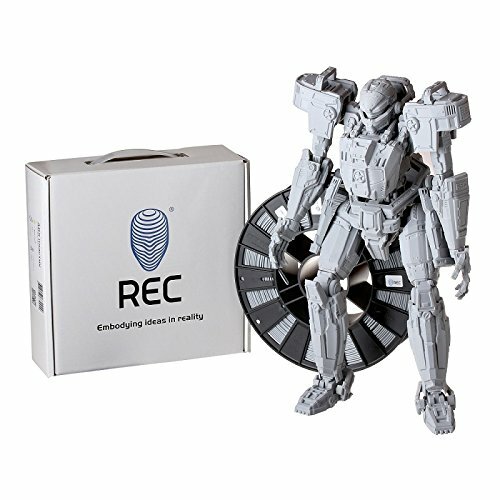 REC PLA 3D Printing Filament is applied for broad-spectrum use of up-to-date 3D printers. You can easily feed such filament spool into the extruder head of a 3D printer. The wide range of use - from labs to homes! The manufacturer is REC that follows the philosophy of quality and popularity when it comes to production of materials for 3D printing. Compared to ABS plastic filament PLA material is free from harmful contents so you can use it at home. Also PLA plastic filament doesn't need a heated printing table. 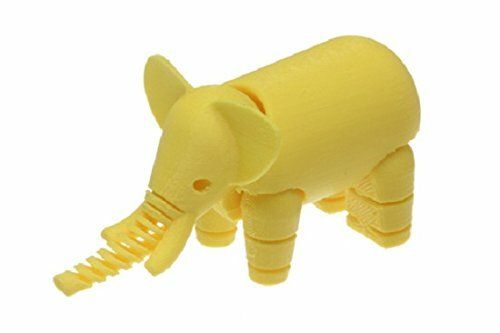 REC PLA filament products are used by fablabs, educational institutions, industrial enterprises and 3D printers manufacturers. All spools are wrapped in vacuum seal storage zip-bags to follow the strict recommendations for storage before and during the breaks between 3D printing sessions. High stability of color from batch to batch. The plastic filament is made from pre-processing materials. RLA plastic 3D printing filament is compatible with all FDM 3D printers. It is fully dissoluble in dichloromethane. Use epoxy resin for gluing the parts made with 3D printing filament. Parts made with PLA 3D plastic filament do not bend or crack under the influence of different temperatures due to the fact that it has no a thermo-shrinkable effect. REC PLA filament is 100% "green"! It is based on an environment-friendly biopolymer that is extracted from sugar cane and corn. No ash, oil-resistance and high density - impressive specs! 5kg/200 °C - 8g/10min - index of melt flow; 190-230 °C - extruder temperature; cooling fan; 20.8÷21.0 - oxygen index in percents; Less than 0,01 - ash content in percents Spools have stickers for multiple use - Each spool with 3D printing filaments made by REC has a sticker with plastic's leftovers. Everyone can use REC PLA 3D Printing Filament! PLA plastic 3D filament is the most popular material for 3D printing. For home and office 3D printing the best choice is REC PLA plastic filament - it is 100% safe and easy to use. Diverse color palette and 2 types of spool diameter! Besides white color, this 3D printing filament is offered in multiple bright colors. The plastic spools can have two type of diameter - 2.85 mm and 1.75 mm.